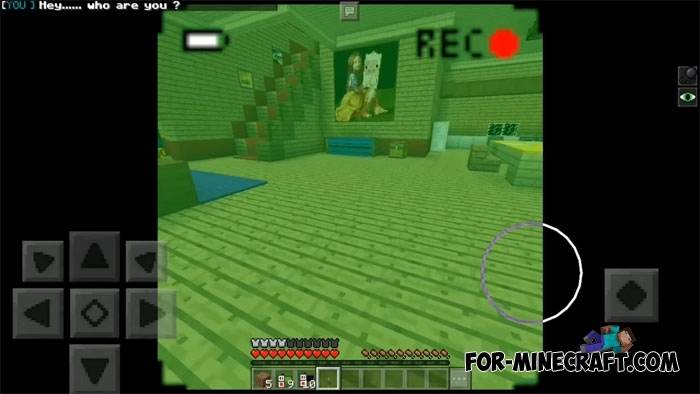 This is a stylized horror map for Minecraft PE which in a sense is similar to Outlast. You need to reach the goal by going through corridors, rooms and halls during absolute darkness. Your main assistant will be a video camera with night mode. Using it you can see the dark places, but be prepared for the fact that the videocam requires batteries and you always need to look for them. 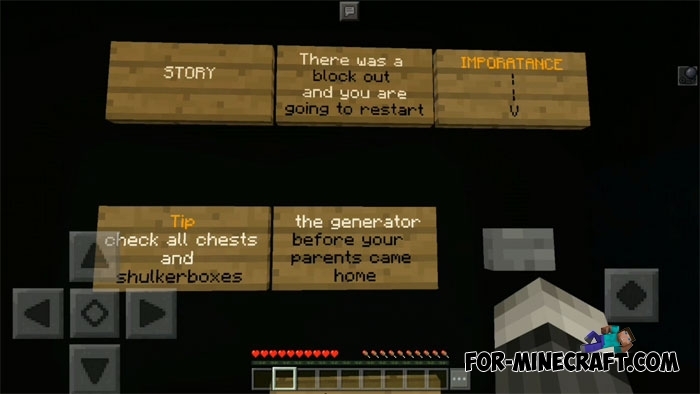 Pay attention to the chat, you can see very important messages there. 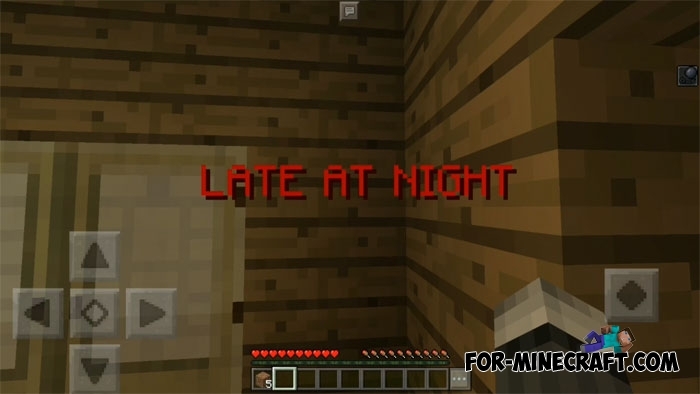 The Late At Night works with command blocks, many events will happen automatically on your way.